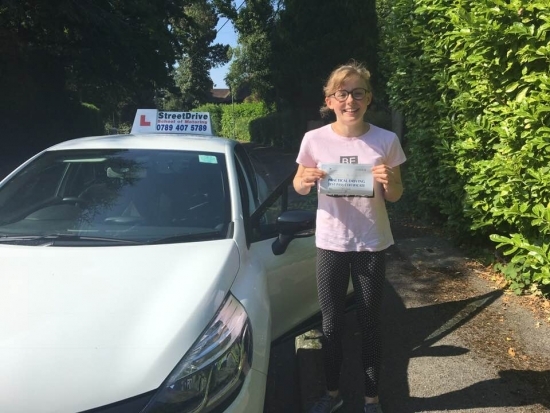 Having had two previous instructors, Louise was by far the most approachable, thorough and reassuring instructor I have had. I have by no means been an ´easy´ student but Louise´s patient persistence with me has finally paid off as I passed today!! I would definitely recommend Street Drive to anyone, they really tailor your lessons to your weaknesses and what you find most difficult; as opposed to just following a generic routine for every student - Passed Thursday 28th June 2018.